This is the same rope we use to border most of the Custom Nylon Netting Panels, Golf Cages and Baseball Batting Cages. Soft and easy to use, very low stretch (less than 3% at break point), minimum breaking strength 2,000 lbs. Used as border reinforcement for a few custom netting application and it worked great! Used videos on website to learn how to lash on the border, and this woven rope does not stretch! Nice rope at a good price. I used it in the top and bottom of the net we used for hockey shooting area and it worked well. 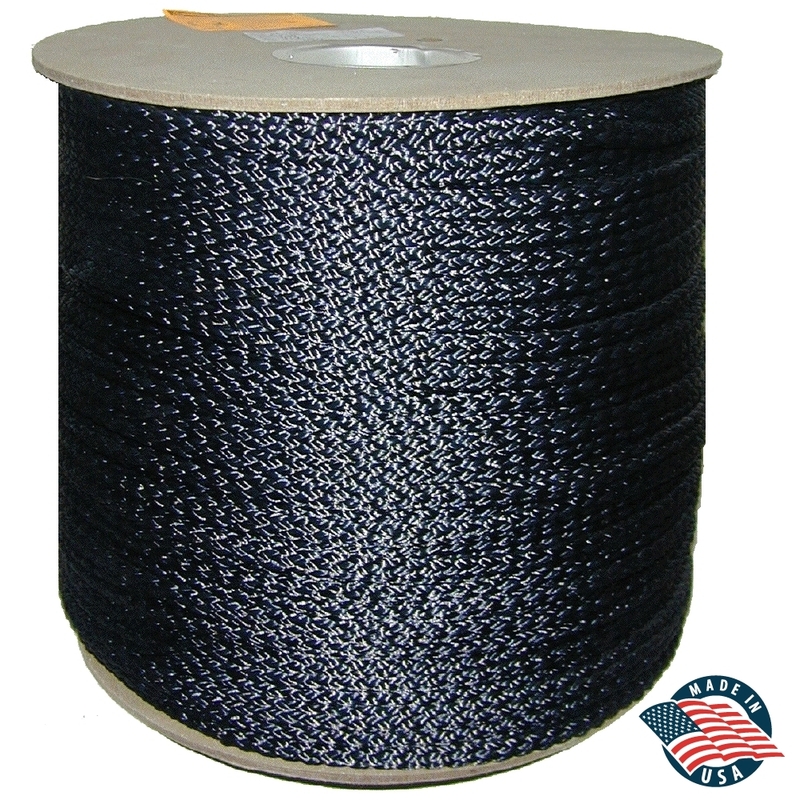 Good quality, we used this to string around the sides and top of the nylon netting we purchased. Worked perfectly! Ordered extra of this rope for extra support for the netting I purchase. This is the same rope used to border the netting I bought(#21x3/4 nylon netting).